Portrait of Hugo La Fayette Black. 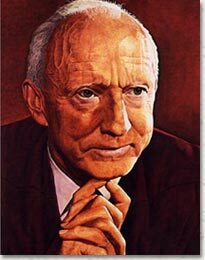 The youngest of eight children of a farmer in rural Alabama, Hugo Black attended local schools but did not graduate high school. He briefly attended Birmingham Medical College at age 17, then entered the University of Alabama Law School, earning a bachelor of laws degree in 1906. He soon settled in Birmingham, where he established a successful practice and in 1911-1912 briefly served as judge in the Birmingham Police Court. In 1914 Black was elected public prosecutor for Jefferson County, Alabama, and won local fame for his investigation of brutal interrogations by police in the county jail. He resigned in 1917 and enlisted in the U.S. Army, serving for a year before returning to private practice. In 1923, to further his political career, Black joined the Birmingham chapter of the Ku Klux Klan; he stayed with the organization for two years. In 1926 he was elected to the U.S. Senate, where he became an ardent populist and, in the early 1930s, one of President Franklin Roosevelt's most dedicated supporters. To address the widespread suffering of the Great Depression, he helped Congress pass several key pieces of legislation implementing Roosevelt's New Deal policies, only to see them overturned by the conservative majority on the Supreme Court. After Roosevelt's reelection in 1936, Black strongly supported him in his unsuccessful attempt to reorganize the Court and ensure a liberal majority. When Justice Willis Van Devanter, one of the "Four Horsemen" (four staunch conservatives) on the Court, retired in 1937, Roosevelt nominated Black to succeed him. A furor erupted when the PITTSBURGH POST-GAZETTE published a series of articles telling the story of Black's membership in the KKK. Black made a nationally broadcast radio address explaining his actions, and he soon vindicated himself by establishing a judicial record strongly sympathetic to African Americans and the civil rights movement. Black was an avid reader. He had an affinity for the works of Thomas Jefferson, and read such classics as Tacitus, Livy, Thucydides, and Plutarch, as well as works by modern political philosophers and historians. Black's judicial philosophy combined a literal reading of the Constitution with a passion for civil liberties and civil rights. Because the First Amendment stated that "Congress shall make no law . . . abridging the freedom of speech," Black concluded that any law infringing free speech was self-evidently unconstitutional. He also interpreted the Fourteenth Amendment broadly, concluding that it incorporated the protections of the Bill of Rights to all actions by the states. In the period of the "Red Scare" after the Second World War, when the Court upheld laws criminalizing speech regarding the overthrow ofthe U.S. government (Dennis v. United States ), Black dissented, writing: "there is hope ... that, in calmer times, ... this or some later court will restore the First Amendment liberties to the high preferred place where they belong in a free society." Until his retirement in 1971 at age 85, he remained an ardent advocate of free speech, of civil rights, and of the separation between church and state.